Morning everyone, cold, blue sky breaking through and fine up here today. Course is open for 18 holes today, NO CARTS on bottom 9 today. 9 hole members will now be able to print cards when playing YELLOW default tees for the front or back nine. So looking forward again to the Rugby this weekend – can’t wait!!! – Best of luck to the Hurricanes!!! I know a few members are away this Sunday playing golf at Levin, thanks again for removing your names from recurring bookings. You are AWESOME!!! The members going forward to play in the Semi Finals to contest the Ade Waddell Memorial are Brett Keno/Zane Wilkins, Warwick Evans/Nigel Messenger, Jamie Ryland/Brian Cockburn. We are just waiting on the outcome of the match between Jason McKenzie/Michael Baines and Kane Lloyd/Mark Harper to find the winning partners to challenge Jamie and Brian. Winner of the $50.00 raffle was Erica Wood. Winner of the 3rd draw for the Roaring Forties was Number “6” Mark Bramwell – $100, plus Tony Birtwistle and Vance Plumridge $50.00 each. – congratulations to you all – Good Luck this Saturday. Please remember from Monday the 14th August the shop/office will be closed for 5 weeks on the MONDAY ONLY. Saturday – course available to everyone. Monday – course available to everyone. 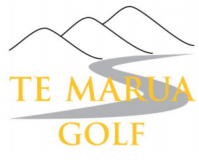 Tuesday – MW Men, 9 Hole Medal & Putts R8. Wednesday – MW Women, LGU, Putts, HP Stabelford. Friday – course available to everyone. Please take note that on the Friday 25th August we are hosting the Lady Golf Veterans at Te Marua. This would be a good opportunity for members to use their bonus cards to play at Shandon or Judgeford.